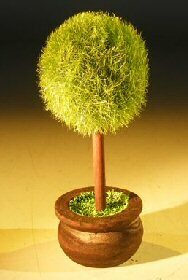 Mini artificial topiary, used as decoration or as cardholder. Measures 2.0" x 4.5" tall. Green color with brown base.